As promised yesterday on the Children’s Easter 2019 Giveaway, here is another Easter giveaway but this time it’s a little bit more grown-up. 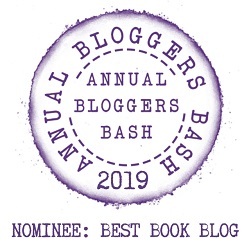 As well as the prizes below I will also be including a mystery book (a book of my choosing) from one of the following genres – Thriller, Romance, YA or Historical Fiction. If you are the lucky winner you will get to choose which genre you would like your book from. All the details on how to enter are below. Good luck everyone. To be in with a chance of winning all these goodies you need to enter via the Rafflecopter link below. The giveaway is open to UK residents only and begins today 10th April 2019 and ends at midnight on 16th April 2019. There is no cash alternative. There is only one winner who will be notified by email – So please make sure your email address is correct. Email address is visible to me only and only used to contact you to obtain your address for the delivery of the prize. Good luck everyone. Full terms and conditions can be found on the Rafflecopter link below. If you have children/Grandchildren, etc, there is a kids giveaway running on the blog too which features prizes to keep the little ones busy for a while. Click here to be taken to the Children’s Giveaway 2019. Thriller it shall be . Fingers are crossed for you. I would like the book to be a Thriller. I’ve made a note. Good luck. Great, fingers are crossed for you. A Good Thriller would be awesome. Thrillers are great. Good luck. That’s the first for romance. Good Luck.